Join the CARE™ Faculty in Toronto for the Second Annual National CARE™ Congress! 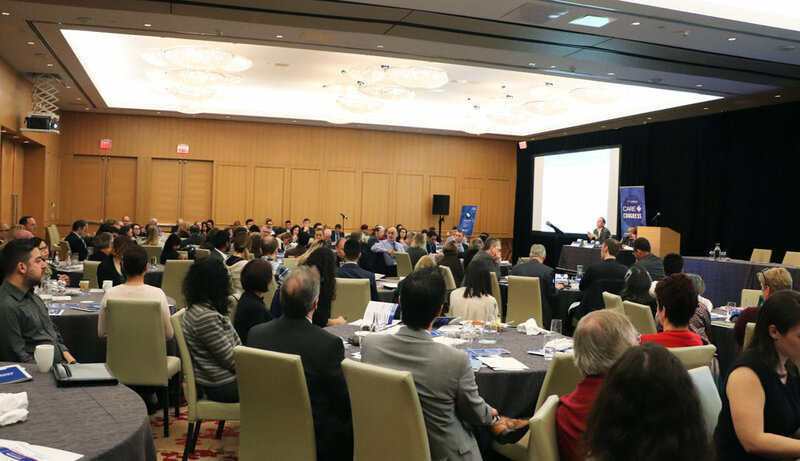 The second National CARE™ Congress: Update on Biosimilars and Access to Innovation will be held at the Shangri-La Hotel in Toronto on April 6th, 2018. 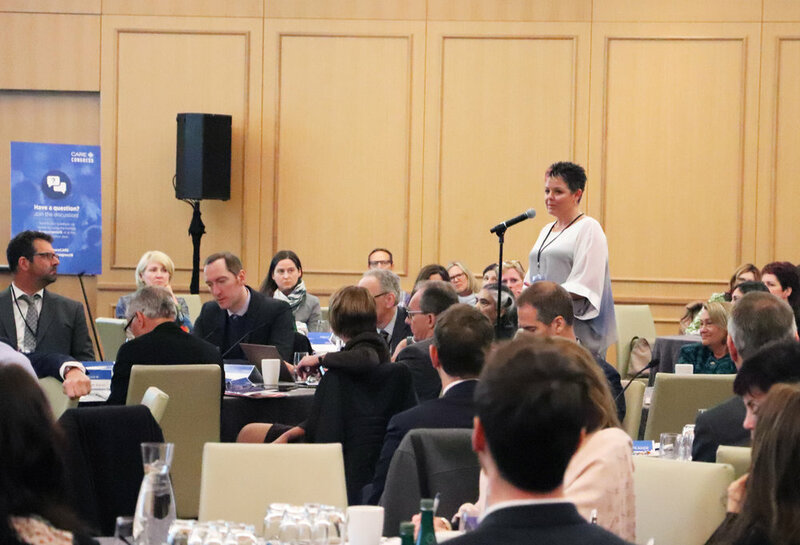 This year’s meeting aims to address questions and considerations regarding biosimilars in Canada and how they can build towards a larger discussion around access and innovative related concepts. The 2nd annual meeting will include very robust discussion and provide a platform for specialists across multiple fields to meet, collaborate, and discuss concepts that have a practical impact on the Canadian healthcare landscape. This meeting comes as a follow up to the CARE Congress held on January 13th, 2017. 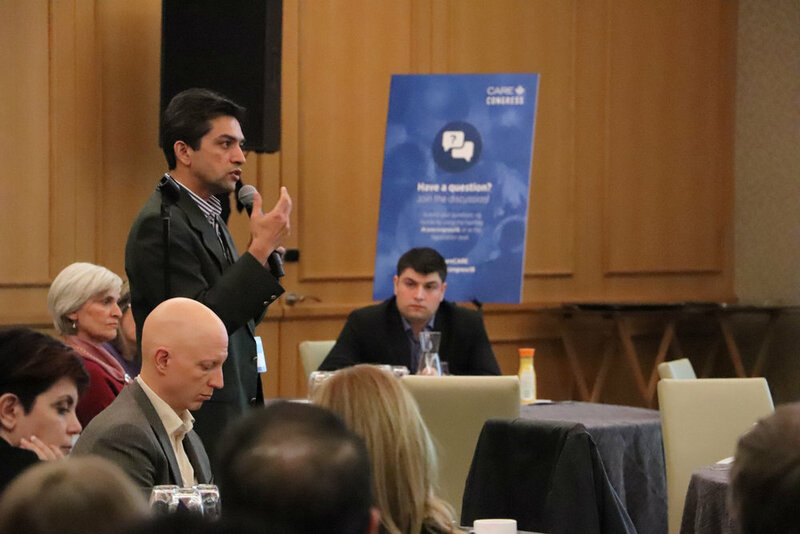 There was an audience of 100+ representing a range of multiple stakeholders, along with various levels of government, pharmaceutical companies and industry associations, listened in while speakers and assembled faculty discussed biosimilars from multiple perspectives. The CARE™ Faculty is pleased to welcome a robust speaker line-up, with representation from Canadian researchers, clinicians, Health Canada, public and private funding agencies, health economists, hospital pharmacists, nurses, advocacy groups, ethicists and legal experts. 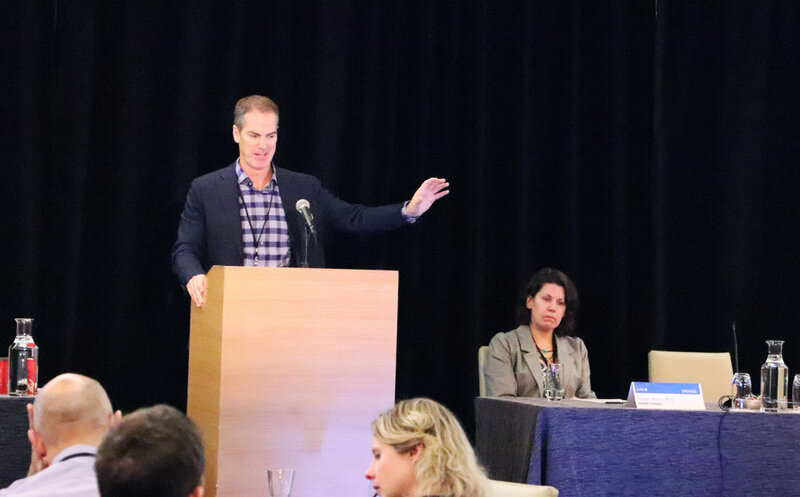 The CARE™ Congress aims to allow assembled CARE™ faculty and panelists to consider the use of biosimilars and align on the importance of access to innovation. The CARE™ Faculty is pleased to welcome a robust speaker line-up, with representation from Canadian researchers, clinicians, government, public and private funding agencies, health economists, hospital pharmacists, nurses, advocacy groups, ethicists and legal experts. The first section of the 2018 CARE™ Congress on Biosimilars and Access to Innovation focused on biosimilars. After an opening from the Congress Chairs, Dr. John Marshall and Scott Edwards presented on CARE™ education initiatives in biosimilars and gaps in knowledge that still exist in Canada. This was followed by a multidisciplinary discussion. Biologic therapies have revolutionized the treatment of many diseases, such as IBD. A number of biologic therapies have gone off patent or will be going off patent soon in Canada, making discussion on biosimilars topical. Adopting biosimilars offers the opportunity for savings which could in turn be used to support access to innovative medicines. The CARE™ Faculty have been involved in a number of stakeholder engagements to educate healthcare professionals on biosimilars. In November of 2017 the CARE™ Faculty came to a consensus on (standardized) guiding principles on biosimilars. · Biosimilars are not deemed bioequivalent to the originator. · Biosimilars are not interchangeable, as per Health Canada’s recommendation. · In the absence of peer-reviewed data, stable patients should not be switched from their current biologic to a biosimilar. Dr. Scott Edwards continued the discussion on biosimilars. 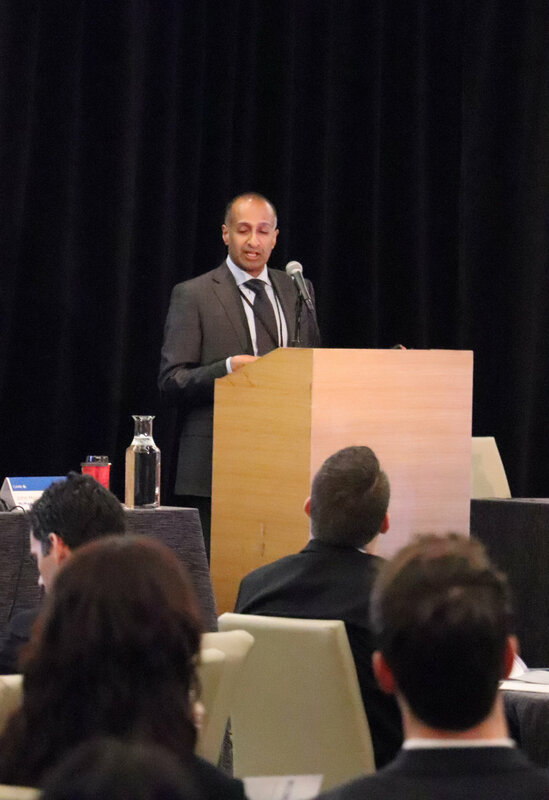 He presented on the CARE™ Biosimilars Primer, a multi-specialty education tool, and provided insights into the challenges associated with biosimilars that hospital pharmacists face in Canada. To address gaps in biosimilar knowledge, CARE™ developed a Biosimilars Primer. This primer was recently converted to an educational slide deck and received accreditation by the Canadian Council on Continuing Education in Pharmacy (CCCEP). CARE™ plans to “roll out” the accredited slide deck to pharmacists in centres across Canada. Dr. Edwards highlighted the current lack of a standardized naming system for biosimilars in Canada, which makes pharmacovigilance difficult. Naming conventions and tracking the administration of therapies take on new importance in an era of multiple biosimilars per originator and the potential for multiple switches. · One which resembles the US system where a 4-letter suffix is appended to the non-proprietary name. · One which uses the brand name with the non-proprietary name to distinguish therapies. · One which uses the drug identification number (DIN) for prescribing/tracking. The lack of a standardized nomenclature system is a challenge which directly affects hospital pharmacists who fill prescriptions. 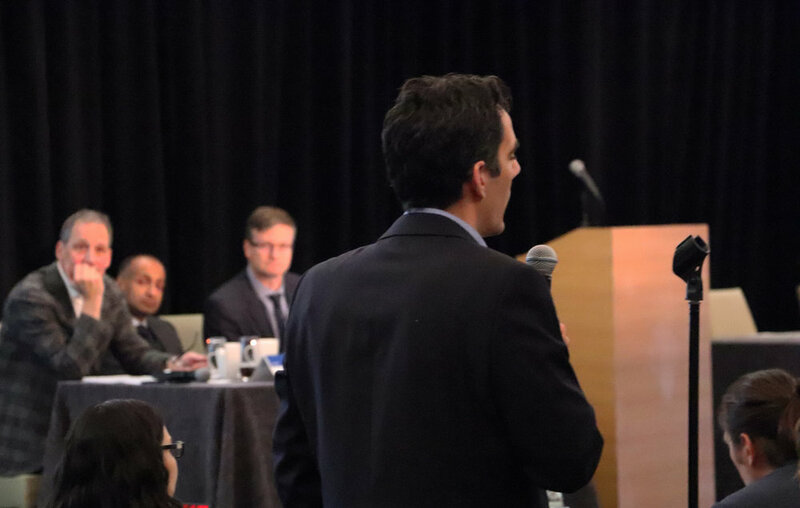 In the second section of the 2018 CARE™ Congress, participants were involved in the following four plenary sessions on access to innovation: Translational Science & Innovation to Access, Drug Approval and Public Pricing, Private Payer Perspectives, and Patient Perspectives. Multi-stakeholder discussions took place after the first three presentations. The first plenary session opened with a translational science presentation by Dr. Rob Laister. Dr. Laister discussed upcoming advancements in medicine, the high drug costs associated with therapies that are forthcoming, and the benefits of funding new scientific innovations. The benefits of innovation can be observed in new, efficacious therapies with mechanisms of action such as: covalent modifiers (irreversible binders, like ibrutinib), antibody drug conjugates (targeted therapies with a “warhead”, like brentuximab vedotin) and check point inhibitors, among others. Exciting science that is being investigated includes gene therapy (CRISPR-Cas9) and cell therapy (CAR T-cells). 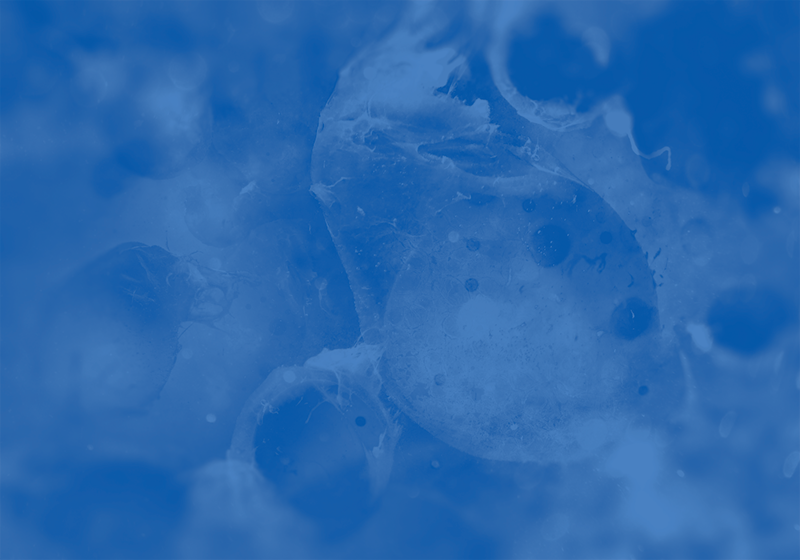 New technologies like CAR T-cell therapy have the potential to be a quantum leap forward, however these innovations and those that follow have very high costs. Plenary Session 2 focused on the distinct steps/layers involved in approving and gaining access to drugs in the federal and public payer system. The thorough yet complex system was discussed at length, where various government bodies presented on their role in the process. Discussion followed with assembled panelists and speakers weighing in. Health Canada believes in improving access for patients and supporting pathways for innovative products. Health Canada understands that various stakeholders would like the review process for new drug submissions to take less time and has done a lot of work (along with CADTH & INESSS) to streamline the process. To reduce the review period for a new drug submission, Health Canada has developed two avenues: the priority review policy and the notice of compliance with conditions. Health Canada has also recently developed the exceptional pathway called the “Drugs for Urgent Public Need” which hastens access to drugs that have proved efficacious in other countries and for which there is a pressing need in Canada. Global Public Affairs anticipates that biosimilars and other innovative agents will lead to changes in policy. It is challenging to generate new policies in Canada as we enter an era of innovative, new drug development. There are over 5000 drugs slated to come to Canada, most of which are biologics, specialty drugs or drugs to treat patients with rare diseases. A favorable regulatory framework for premium-priced rare disease drugs (orphan drugs) is currently in place, which is why creators of policy will likely focus on small molecules, biosimilars and biologics. Global Public Affairs plans to work with regulatory groups like CADTH and INESSS to develop policies for the increasingly innovative Canadian drug landscape. Disclosure: The Health, Pharmaceuticals and Life Sciences division of Global Public Affairs focuses primarily on health policy development, including pharmacy regulation, health technology assessment (HTA), and product reimbursement. In Canada, private payers pay for drugs faster than and more often than public bodies. Biologic therapies represent approximately 2% of claims but about 30% of drug spending in Canada. In the next few years it is anticipated that biologics will represent about 40% of drug spending in Canada. Innovative therapies, though often effective, are very expensive to manufacture, test and purchase. Private payers in Canada are not currently equipped to manage the large volume of innovation slated to come to market over the next few years. Current therapy costs appear unsustainable, but insurers are responding with innovative plan design options. Change takes time and is usually very challenging. Private payers acknowledge that biosimilars are supported in Canada but also believe it to have been a slow adoption process thus far. Biosimilar studies have focused on the treatment-naïve and have limited data sets but offer competition and potential cost savings. IMC believes that innovative medicines and therapies should be supported in Canada as many have shown to be highly efficacious. Today, Canada is relatively active in clinical trials, but current regulatory systems are not equipped to support trials with innovative therapies. Canada must devise a plan to increase access to innovative therapies. In the current system, innovative medicines take too long to be approved and made accessible, despite their potential to be life-saving. Between 2004 and 2014 national spending on patented drugs decreased by 2% (of total health spending in Canada). A “willingness to pay threshold” may be among the most important discussions for adopting innovative medicines in Canada. The following graphic depicts the drug approval, pricing and public funding process in Canada (courtesy of the pCPA). · The median international price. · The highest price in the domestic therapeutic class. · Some combination of the two. Assessing a “ceiling price” is a challenge that the PMPRB faces. The pool of nations that Canada is compared to for drug pricing is made up of premium-priced countries that includes the United States. Canada has one of the highest drug costs of all modern countries, behind only the US and Switzerland (PMPRB data on file, 2016). The goal of INESSS is to reduce the time between the delivery of a Notice of Compliance (NOC) and reimbursement by the Québec government. INESSS and CADTH would like to synchronize their listing recommendations so that the average difference interval is at maximum, one month. In the future, INESSS plans to develop a new process for biosimilars where they will introduce new policies to declare services and potentially implement fees. · Increasing access to clinically-effective and cost-effective drug treatment options. · Reducing the duplication of effort and improving the use of resources. · Achieving consistent and lower drug costs for participating jurisdictions. · Improving consistency of decisions among participating jurisdictions. The fact that many top selling drugs are going off patent is exciting as the pCPA has the opportunity to create real savings. Consistency (among participating jurisdictions) is one of the largest challenges that the pCPA faces. Currently, negotiations can take anywhere from 3 months to years. The pCPA wants to provide timely access and is working to streamline the process. Treatment is growing more personalized in Canada every day, and soon every patient will be able to be genetically sequenced. Canada is in a unique position to shift treatment from being system-centric to patient-centric. Other stakeholder groups may have one eye on the future when it comes to biosimilars and innovative therapies, but patients have a clear focus on the here and now. As stakeholders in the Canadian healthcare ecosystem, we must consider factors that are most important to patients. Quality and quantity of life must be part of the larger discussion on accessing innovative medicines. Access to therapies is inconsistent across disease categories and provinces. Stakeholders should investigate a national access plan for Canada. Patients would like to be able to access a therapy that has received a Health Canada NOC immediately. In other economically-comparable countries, approved therapies are made available right away, with prices negotiated over time. This could also be a viable option in Canada. CARE receives funding from multi-industry sponsors at arm’s length. Content reflects the opinions, output and analyses of experts, investigators, educators and clinicians (“CARE Faculty”), whose activities, while independent, are commercially supported by the noted sponsor(s). Program content is developed independently of sponsor(s). This content is intended for educational value only; to make scientific information and opinions available to health professionals, to stimulate thought, and further investigation.